Bobby has over 20 years of experience as a senior management and technology practitioner, and as an Advisor to both Federal governments and Fortune 500 companies across four continents. He was associated with large global firms like HSBC Group, Hays Plc, and RR Donnelley. He focuses on strategy, growth and expansions consulting, in addition to working with governments on building ICT sector development policies and strategies. Management and consulting experience around determining acquisition targets, building inorganic growth strategies for clients, Integration leadership, Cross-Border collaborative partnering, Transition Management and Business Transformation. Advised clients across many industry sectors including technology, financial services, life sciences, healthcare, banking, insurance, automotive, education and government. Advised nine distinct federal governments on ICT sector strategy development and policy transformation to promote growth of sourcing and technology sub-sectors – Jamaica, Jordan, Malaysia, Brazil, Colombia, Kenya, Nigeria, South Africa, Mauritius, Victoria State (Australia). Managed end-to-end banking relationships between the bank and high-net worth individuals and institutions for the state of Andhra Pradesh, spanning the following services: Account Management; Loans & Credit Management; Investment Advisory Services; Trade Finance Services; Working Capital Analyses. Bobby holds two masters degrees, one each in Management (Financial Services & Securities Markets) and Solid State Physics, both from Berhampur University, India. In addition, he holds a certificate in Sustainable Development from the Earth Institute, Columbia University. 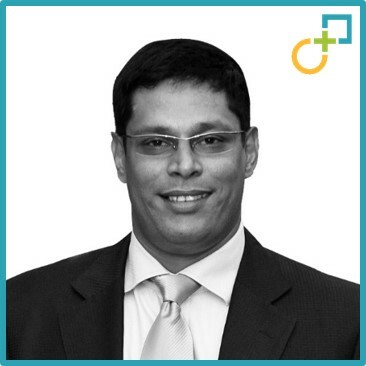 He is one of the top 25 acknowledged leaders in the services globalization space, and awarded as one of the top 20 Outsourcing Advisors consistently for three years. Further, Bobby is one of the first Certified Outsourcing Professionals in the world, and is a Board Member for various multilateral organizations like Global Sourcing Council, Malaysia-Australia Business Council, IAOP, World BPO/ITO Forum, and TriSCA Initiative. Bobby is a qualified professional/ technical scuba-diver and pursues his passion for deep sea diving around Asia, Africa and the Americas. He is also an author of a book titled “Humanomics – Making Sense of the Socio-Economic Impacts of Global Sourcing”, published by Random House. He lives in Kuala Lumpur, Malaysia with his wife Bela and two sons, Anshul and Arnav.